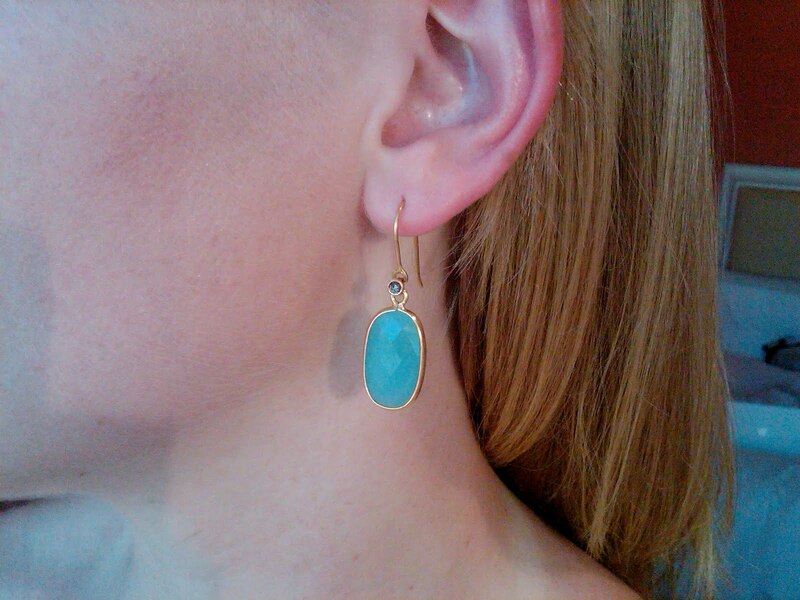 22 karat yellow gold chalcedony drop earrings with diamond accents. Enough said. Many thanks to our lovely model, Schuyler.